Doctor Update + I Can’t Believe THIS! Hey there! So last night something crazy happened. 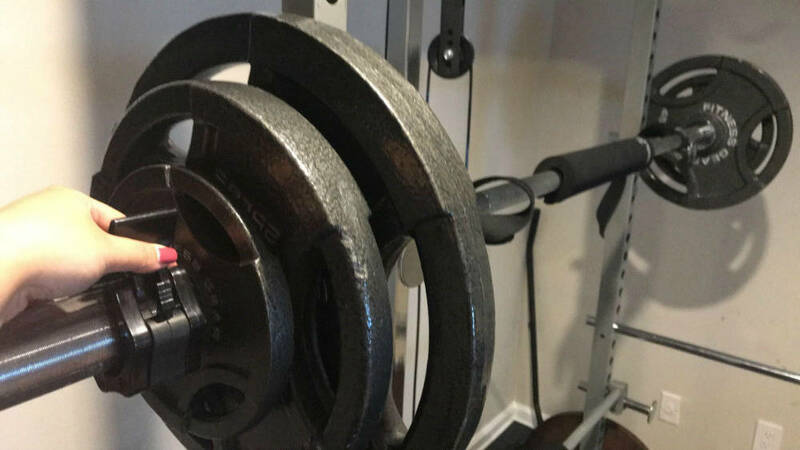 You have to watch the vlog to see it because… I SQUATTED 195lbs! Literally, what?!?!?! So crazy! Subscribe to my YouTube channel here for free! I actually truly believe the next time I squat I’ll be able to do 200lbs. I am shocked by this development in my life but also very excited about it! When I started squatting heavy again last month I could not have imagined making this kind of progress so fast. I feel kind of like a badass? I’m still trying to figure out what my actual max is because every week I make big gains. I know once I get there I’ll have to start working really hard for the gains, but right now I’m basking in “beginner” glow :). Aside from a new squat max, I also saw my doctor yesterday and got my stitches out! I’m sooooo happy to have them out because they were honestly gross to look at every day. Have a great day! Talk again soon! Do you ever eat super late? Sometimes time just gets away from me! What I Bought at the Mall Yesterday! We Went to the Taylor Swift Concert! Wow – congrats on amazing progress with your squats and with getting your stitches out! I’m sure that must be a huge relief! Thanks Lisa!!!! SUCH a relief to have the stitches out. First because I was terrified of getting them out because I thought it would hurt (but it didn’t, thank goodness) and second because it’s just so nice to look down and see normal legs. Those stitches were a constant reminder of surgery and I’m glad they are gone! Wow, congrats! You are really killing it with the lifting lately…maybe all that pent up frustration from not being able to run is fueling all those gains! Hahahahah YES! I think you are right! SO glad you got your stitches out and that it wasn’t bad!! I’ve had 3 surgeries in my life and all 3 times I was most concerned with having stitches LOL. Glad to know you hardly felt them. Keeping my fingers crossed that you can get back to running soon! I WAS SO NERVOUS! I can’t believe it didn’t hurt, like I literally didn’t feel anything but a slight tug. Even the tug was barely anything. Although the doc did say they were super loose since they had been in for so long. Wow! Check you out with all of those weights!!! Dang girl! Impressive. I’m glad there is some progress happening on your legs. I know it seems like forever, but you’ll get there! 2 weeks is soon! Two weeks feels like forever but at the same time I know it will go by fast. It’s already been a day!